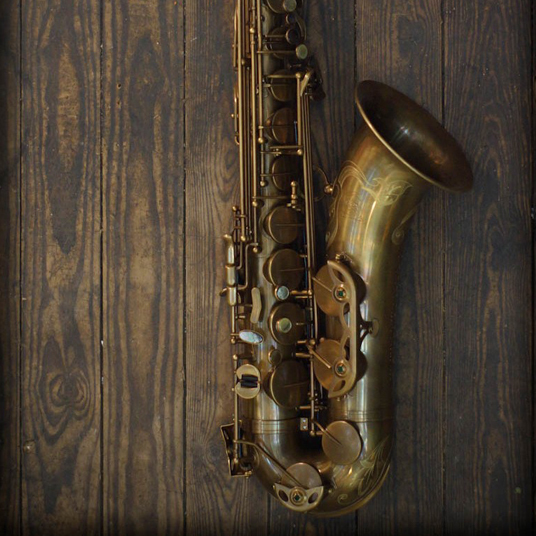 With an “Adolphe Sax & Cie” saxophone, “vintage” is not just a finish. We go a step further: we base ourselves on old profiles and combine these with a modern application. 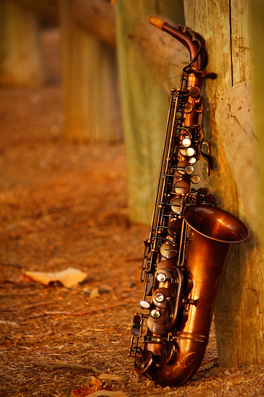 In this way, we have the charm of a “vintage” saxophone with the ease of play of a modern saxophone. 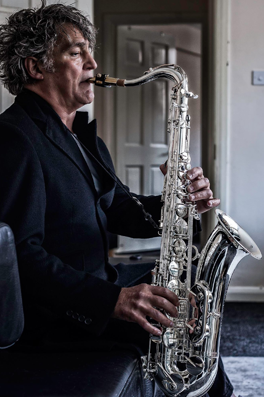 If you talk to a professional saxophone player, you’ll learn they don’t care much about the colour of the instrument: above all, they want a good sound. 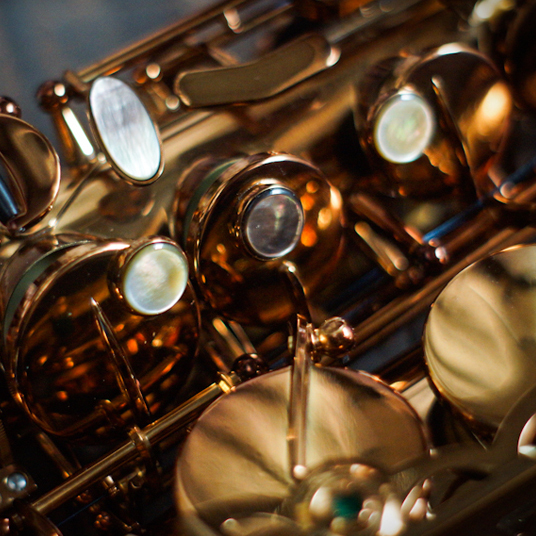 If you talk to a saxophone technician, you’ll hear that ease of maintenance and durability are important. 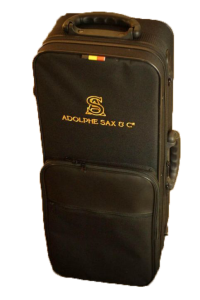 At “Adolphe Sax & Cie”, we pay attention to those wishes and choose to produce saxophones without redundant “extras”. 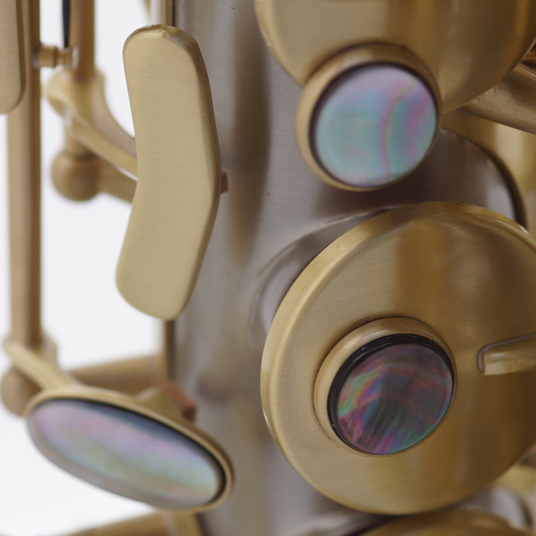 We use durable materials and pay, with our team of experienced saxophone technicians, a lot of attention to finish and adjustment. 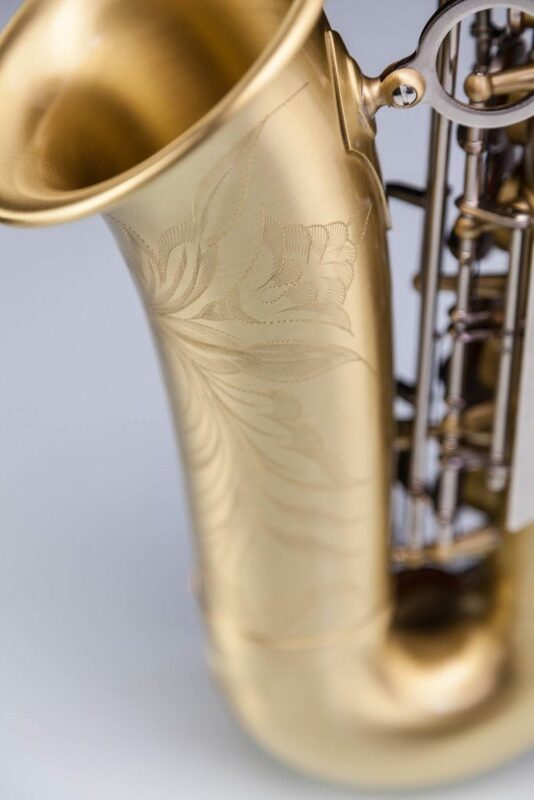 We actively research innovation, but we wait until this has sufficiently proved its added value before we add it to the production of our saxophones. You are not a guinea pig! 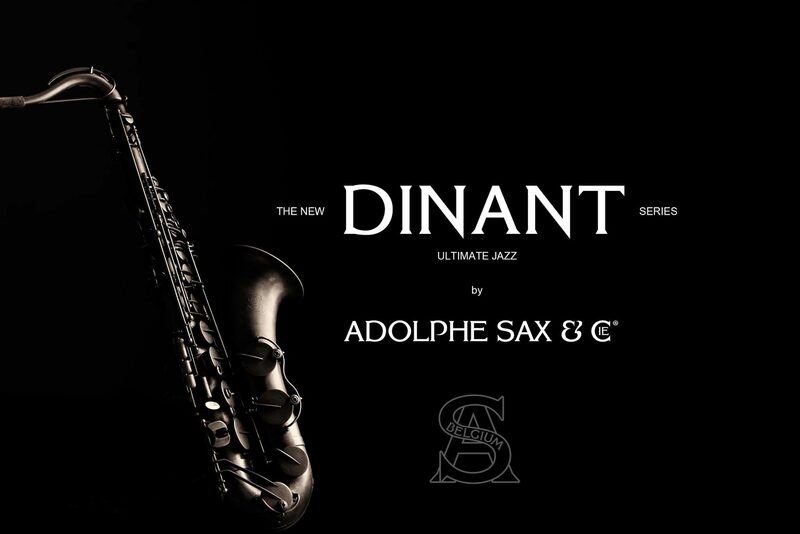 Our assortment of saxophones consists of the: Dinant | Brussels | Paris | Bruges & Custom Adolphe Sax & Cie®. 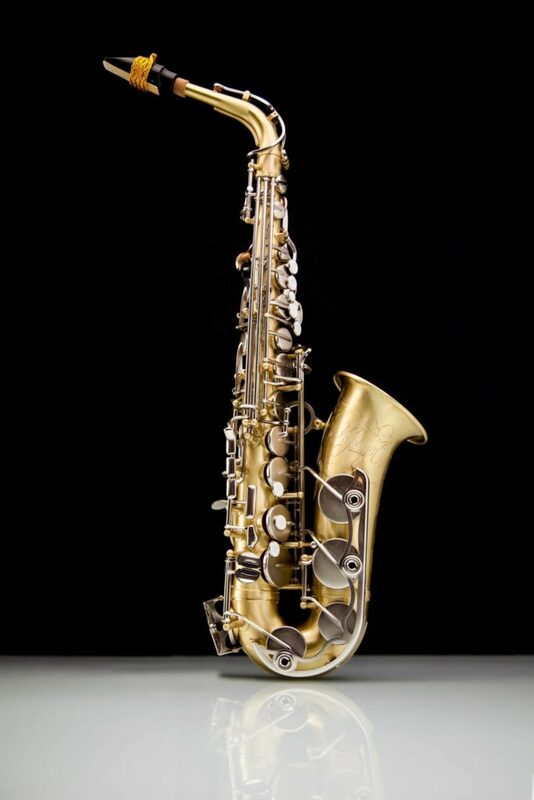 This saxophone, named after the beautiful birthplace of Adolphe Sax, was an instant success. 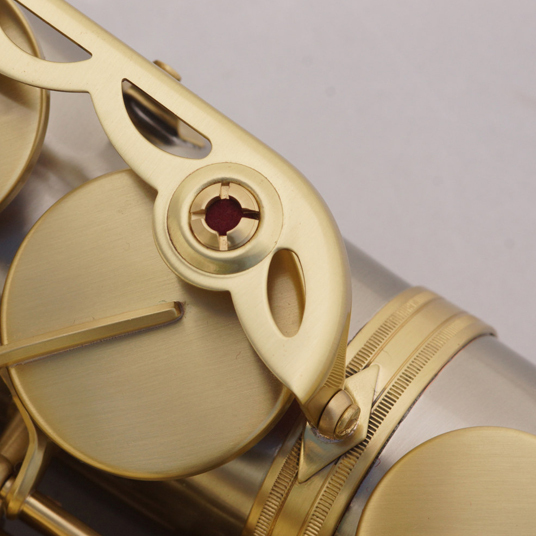 The specific tone of the unlacquered instrument left no one untouched. 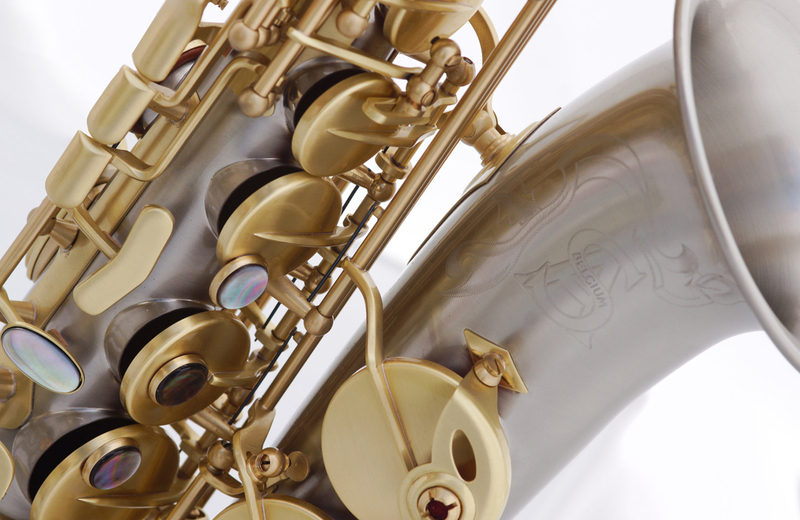 One of the things you will notice when you get hold of this saxophone, besides being somewhat lighter than the previous model, is the beautiful look. With this new series, we are setting a radically different direction. Of course, it has not been limited to “looks”: we also looked at functionality. 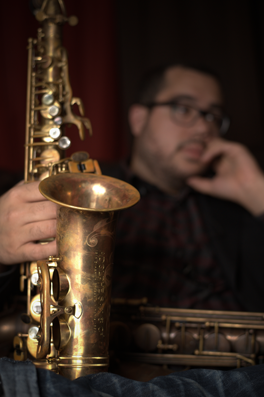 We got inspired by elements of some well-known old American and French saxophones. 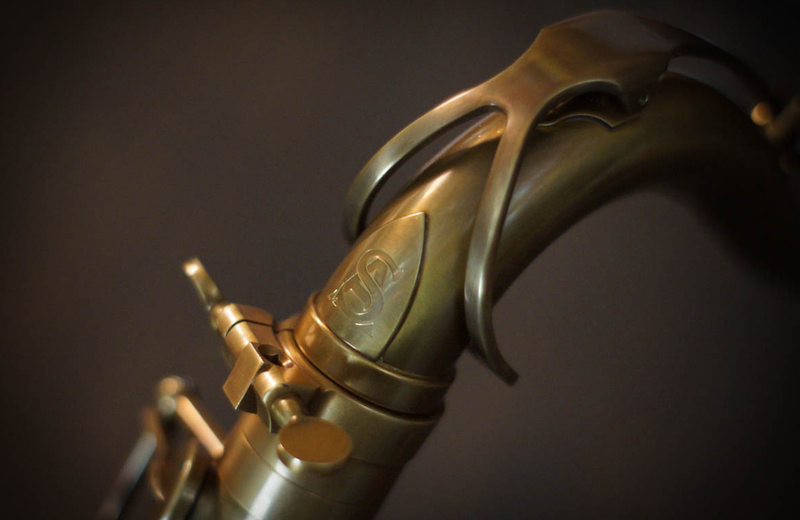 For this unlacquered saxophone we used our popular dark patina again. 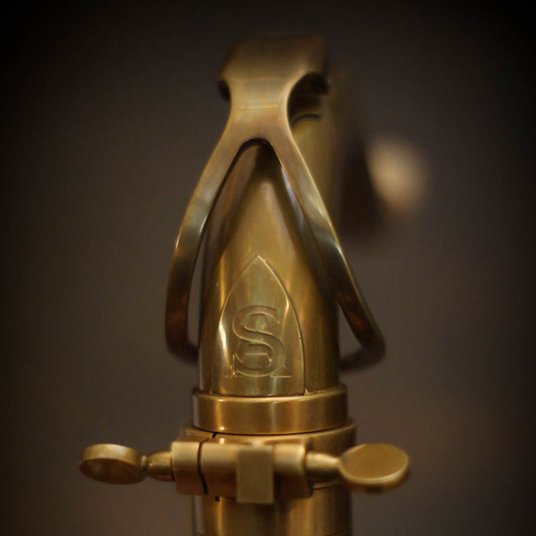 As you play it, it will slowly evolve into a beautiful vintage looking horn. With a focus on durability. 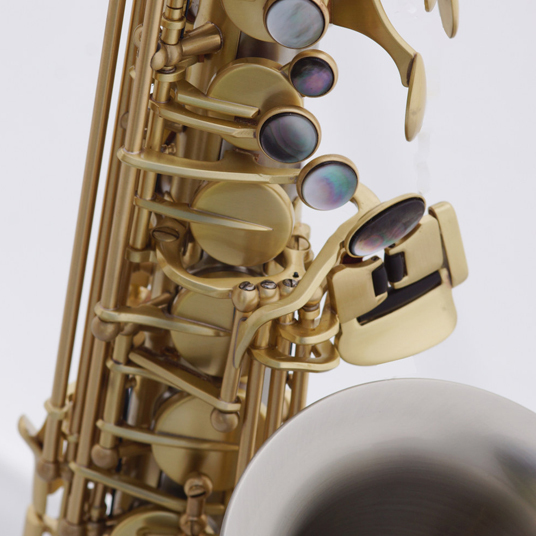 high quality materials are being used and we spend a lot of time and effort in assembling and fine tuning the saxophones. 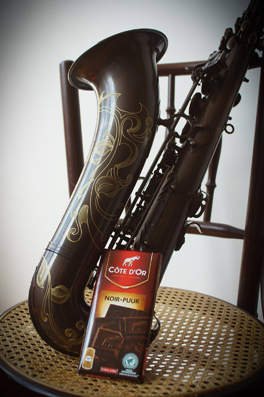 After a long test phase, we officially started using the handmade pads developed specifically for Adolphe Sax & Cie. Depending on the tone and response you are looking for, we offer a variety of selected resonators. As if this was not enough, we also offer an optional neck made out of 91% red copper. Of course, we can continue for hours about how we like this beautiful instrument, but let the instrument speak for itself. Make an appointment for a free trial and visit us at our workshop in Bruges. Can’t wait? Here you can soon find some demo’s. 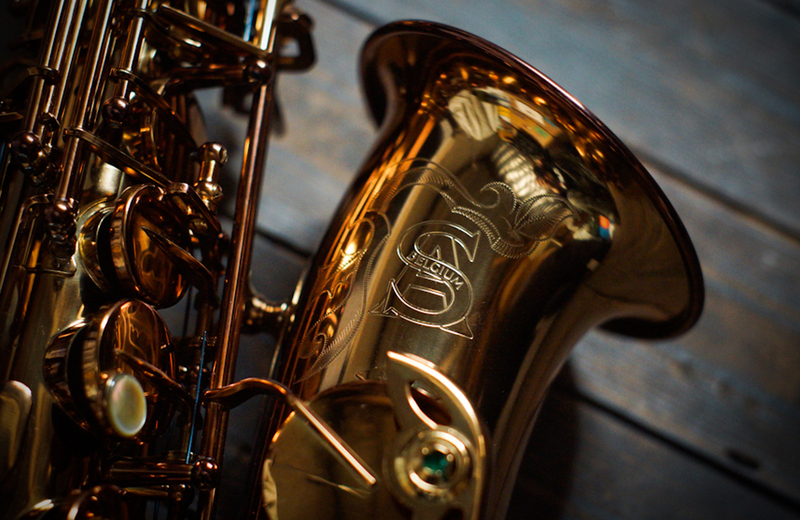 Named after the beautiful birthplace of Sax, this saxophone can please everyone and is a real bestseller. 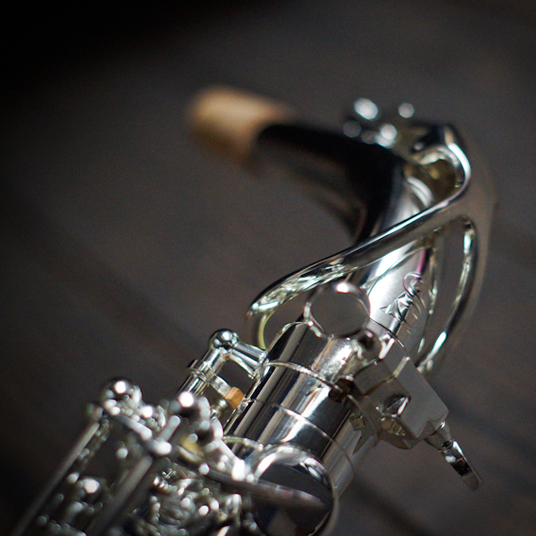 After demand from jazz and blues musicians, we developed this unpolished saxophone. The finish consists of a water-based patina and will evolve slowly to a beautiful “lived-in” look. 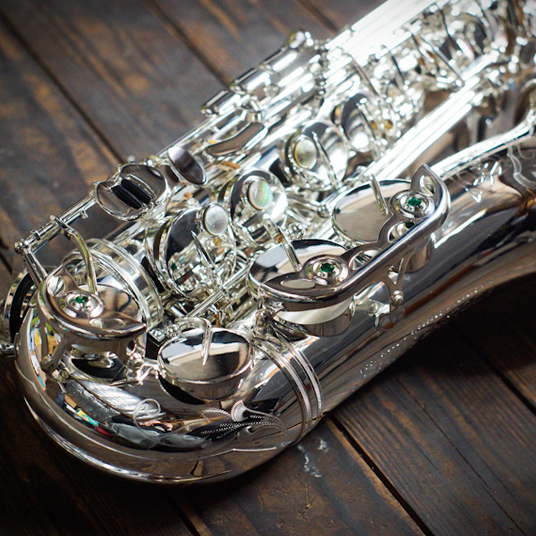 With the “Brussels”, we brought a real classic back to life: the silver-plated saxophone. 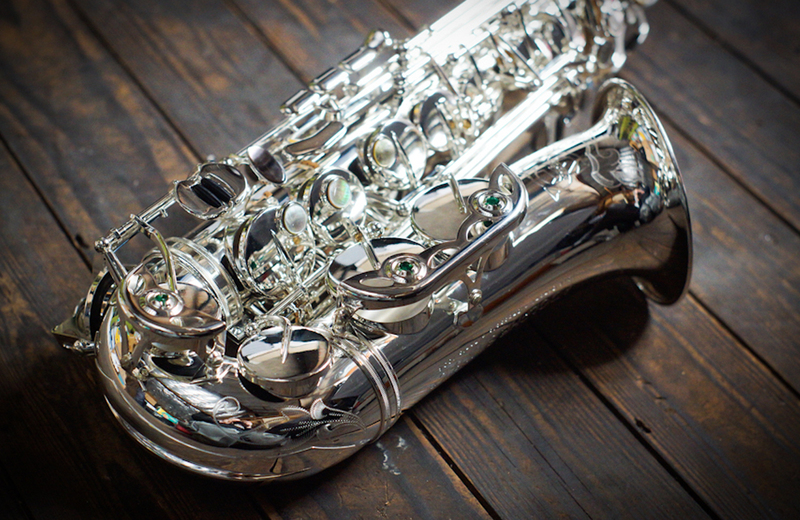 As opposed to vintage saxophones, the silver finish here will not turn black. This perfect all-rounder is ideal for everything from pop and rock to jazz. Do you play classical music? In that case, we have a version with synthetic resonators. 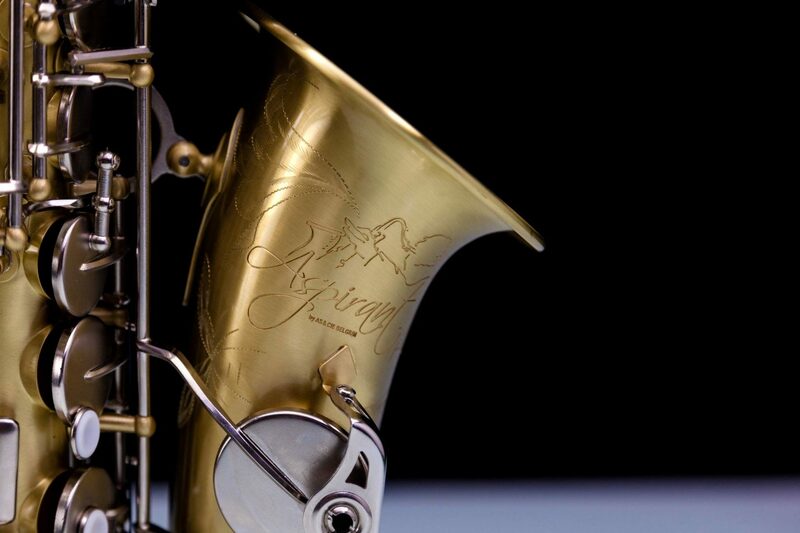 The beautiful French capital which gave its name to this saxophone was home to many great composers such as Debussy, Berlioz, Meyerbeer and Chopin. It is also the place where Adolphe Sax first produced his saxophone. 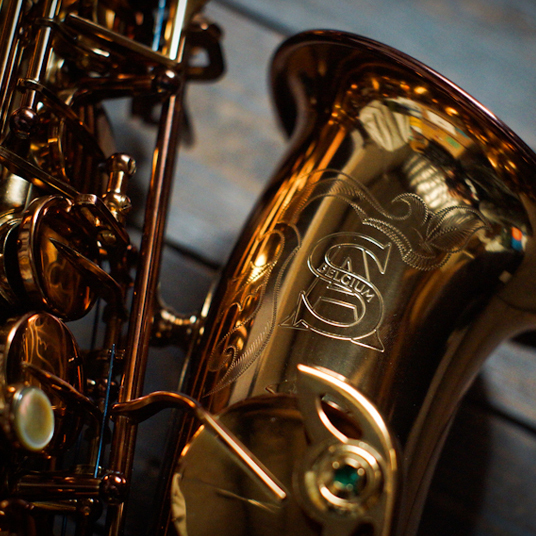 With its gold finish, this classic could not be missing from our collection. 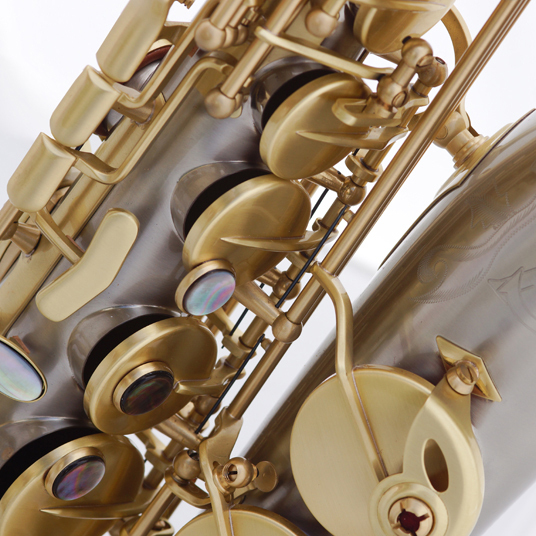 Provided with synthetic resonators, the Paris saxophone is most suitable to classical music. 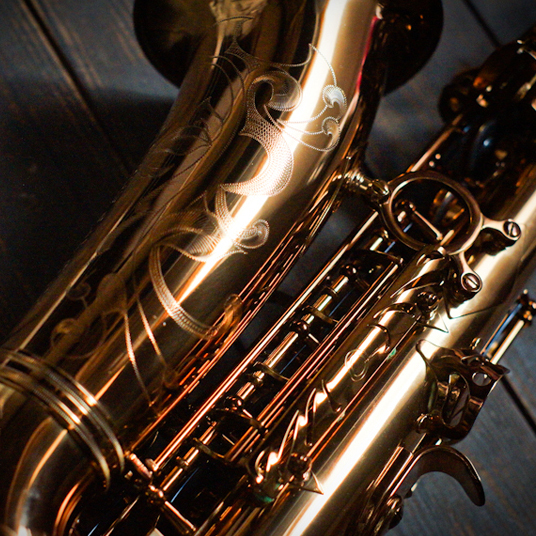 The “Venice of the North” is the hometown of “Adolphe Sax & Cie”. 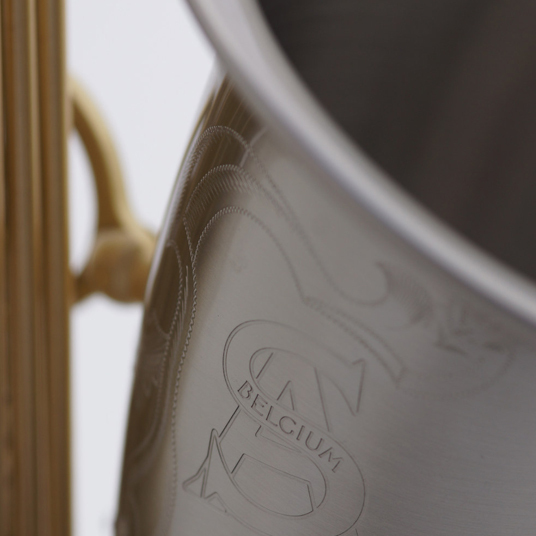 “Bruges” is the project name of our search for innovation. Just like Adolphe Sax was allowed to experiment at a young age in his father’s workshop, we research the concept “innovation” with specialists from various industries. 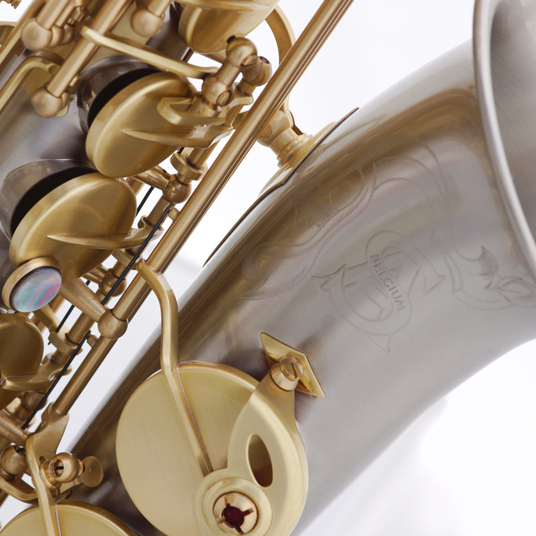 Would you like a unique Adolphe Sax & Cie saxophone, which we develop especially for and with you? There is a plethora of possibilities. Contact us for an open-ended conversation.